Capture moving time-lapse, video, stop-motion, multi-row panoramas, and VFX shots more easily and more affordably than ever. 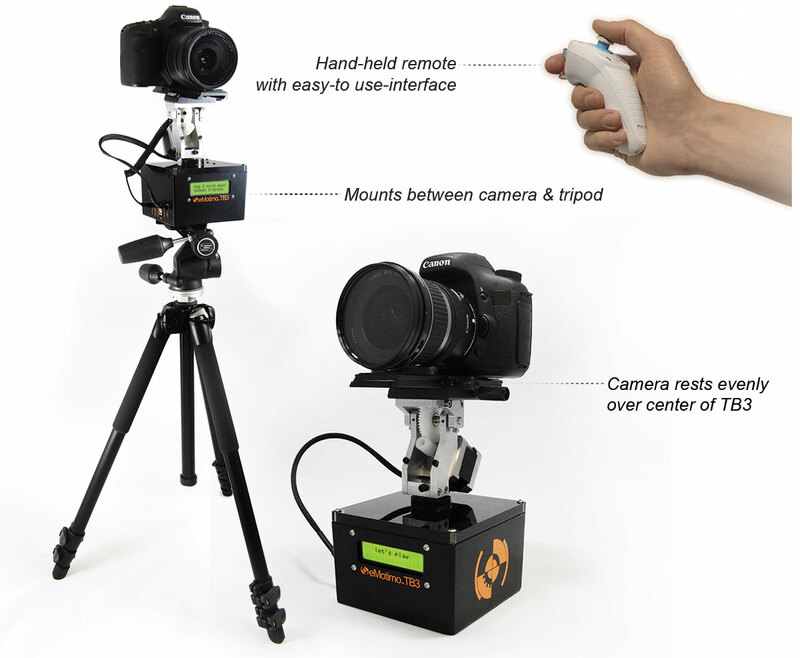 The eMotimo TB3 is the highest value motion control device on the market. It offers repeatable three-axis motion control for less than many competitors’ single-axis products. 3-Axis control means you can easily capture panning AND tilting AND sliding all at the same time. The eMotimo TB3 is portable, strong, and lightweight making it the perfect addition to your DSLR or video camera kit. While most people buy the TB3 for its proven time lapse capabilities, each shot sequence take is frame by frame repeatable, to allow you to create stunning visual effects with video and stop motion. 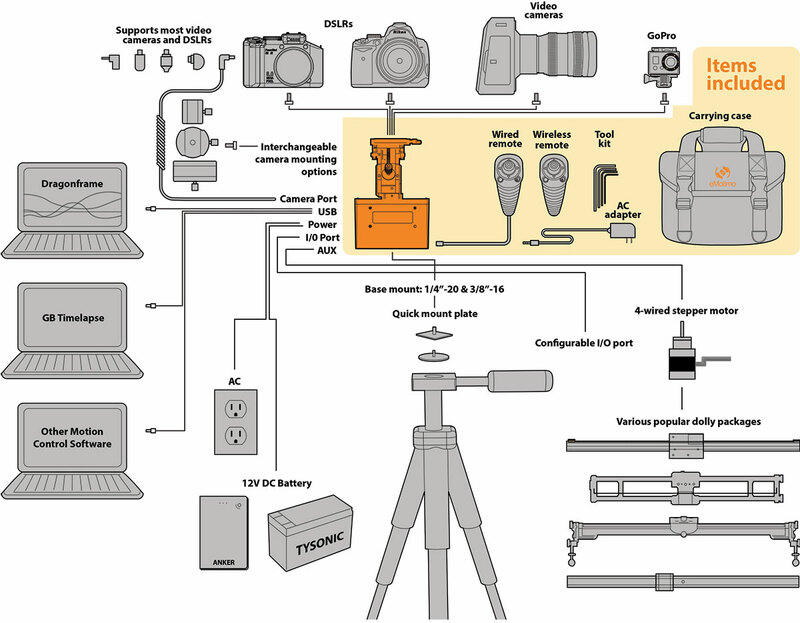 The eMotimo TB3 is easy to use, intuitive, and extends your creative possibilities. Our guided user interface separates you from the complexities typically associated with motion control. This allows you to take your head out of the technology and put it back into your art. With seven easy to follow on-screen prompts, you can set up shots that just aren’t possible with other controllers. On a mountaintop, or in your studio, the eMotimo TB3 helps you to capture your moments in motion. The supplied controller is Wireless. This product is supplied without a camera cable. Please select the correct one here. adjustable macro focus plate for camera mounting and balancing.